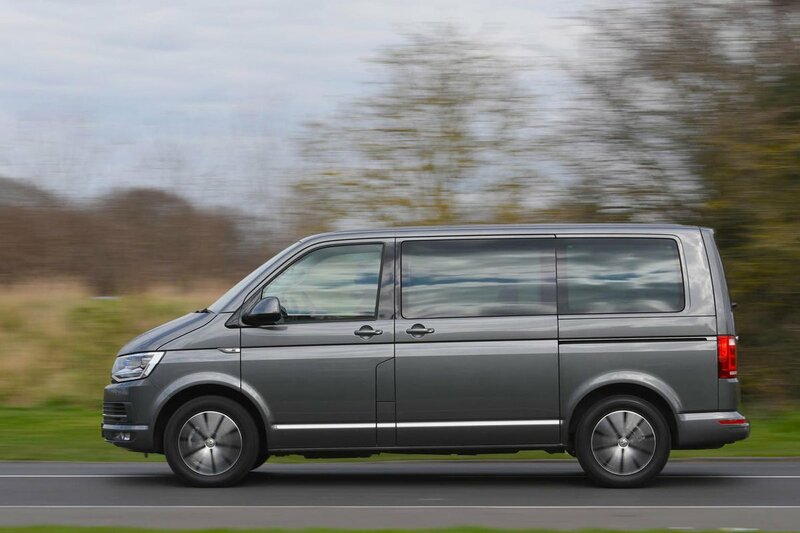 Volkswagen Caravelle Performance, Engine, Ride, Handling | What Car? 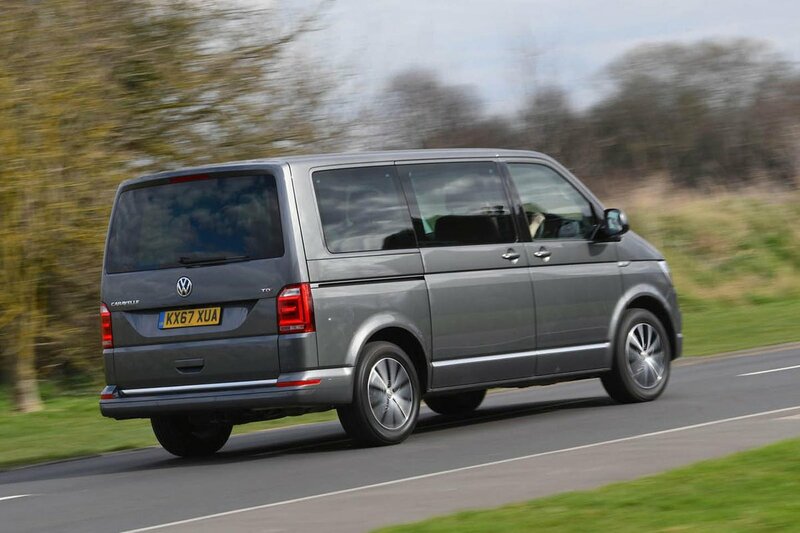 You get four engine options in the Caravelle: a 2.0-litre turbocharged petrol with either 148bhp or 201bhp and a 2.0-litre diesel with 148bhp or 201bhp. A seven-speed automatic gearbox comes with all models apart from the 148bhp petrol, which gets a six-speed manual ’box. Although the lower-powered petrol looks temptingly cheap, thanks in part to the manual gearbox, it will need working harder than the equivalent diesel. As for the 201bhp engines, they are rather pricey, although the diesel could be worth considering if you opt for the long-wheelbase variant or plan on doing some towing. So that leaves the 148bhp diesel. As long as you’re not in a hurry, it’ll slog up to motorway speeds without too much fuss, even with every seat full. It’s pretty hushed unless you’re nudging the redline but, while the engine is relatively quiet, you’ll notice plenty of road roar from the tyres and a fair bit of wind noise. If you’re cruising along, the gearbox is smooth and fairly obedient in manual mode. There is, however, some jerkiness at low speeds and a noticeable pause between accelerating in reverse and the Caravelle actually moving. More impressive, though, is the way it can stick itself in neutral when you come off the accelerator. This ‘coasting’ function is surprisingly helpful for fuel economy. 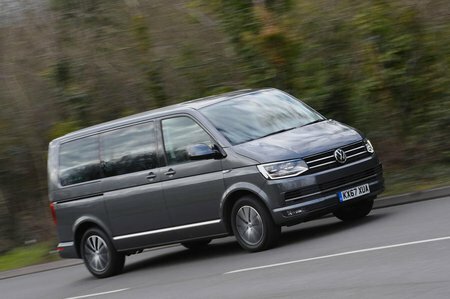 Compared with a Citroën Spacetourer, Peugeot Traveller or Toyota Proace Verso, the Caravelle is quite stiffly sprung. Undulations that wouldn’t trouble the aforementioned trio upset the Caravelle’s composure and it crashes over potholes. Drive down a typical B-road briskly and it’ll bounce around unpleasantly. Things calm down once you’ve got a few people in the back, but there are more comfortable options out there. The hard suspension doesn’t translate into keen handling, either. Because the Caravelle is so tall, it feels top-heavy and so leans considerably in bends. Try to carve through an S bend at pace and it feels downright ponderous. Grip levels aren’t bad, but you’ll feel it slipping much earlier than a regular MPV such as the Ford Galaxy or Seat Alhambra. At least it’s always predictable, with the stability control ensuring nothing gets out of hand.